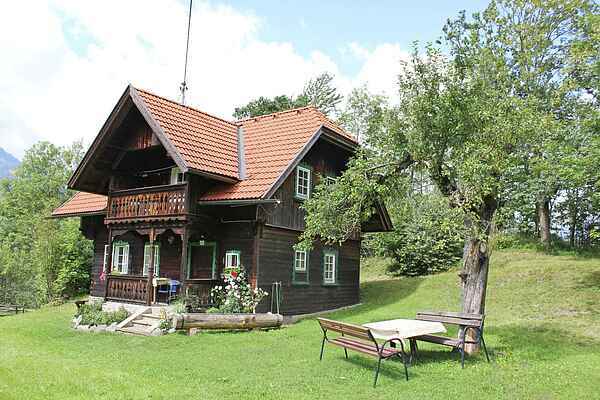 This lovely and quaint little 19th-century holiday house is located on a working farm in Gmünd Landfraß, set somewhat off on its own in a very serene setting in a beautiful meadow. Surrounded by an orchard, the house is comfortable and well equipped, offering everything you need for a relaxing family holiday. The owners are happy to provide you with products from their own farm, such as bread, butter and bacon, and will serve you a full breakfast on request. In summer, the cows and horses (Norikers) are pastured on the owners' land at Alm Bärengrube, located on the Nockalmstrasse, which you are free to visit if you want. The kids will have a wonderful time playing, swinging and sliding in the vast meadow. A great base for some wonderful hikes - the Lieser-Mölltaler bike path is very close by and the Millstätter See is just 15 km away.